If your children are like mine, they LOVE Frozen and anything that has to do with it! Next month we move to a house (FINALLY!) and I will be decorating my childrens' rooms with characters from Frozen and other popular Disney characters! And we will be getting the posters from the great Poster-A-Page series from Time Home Entertainment. The Poster-A-Page series featuring some of the most popular Disney franchise characters, stories, and memorable moments in a unique visual format. Perfect for kids ages 4-12, each book in the series features a poster on every page, plus nine supersize pull-out posters that can function as fantastic door signs, room decorations, or background for their fantasy worlds. 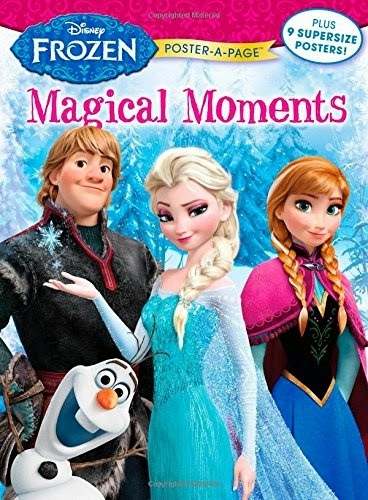 I was so excited to see that they are offering a Disney Frozen Poster-A-Page: Magical Moments! It relives the magic of the second highest grossing Disney movie of all time. With wintry scenes and cherished characters, this book follows Anna and Kristoff as they encounter Everest-like conditions, mystical trolls and a hilarious snowman, in their epic journey to find Elsa. I love the giant posters included and I can't wait to hang them in my daughter's room and play area! They are also offering Disney Junior Poster-A-Page: Let’s Play. It features the lovable characters from one of the highest rated children's TV series. 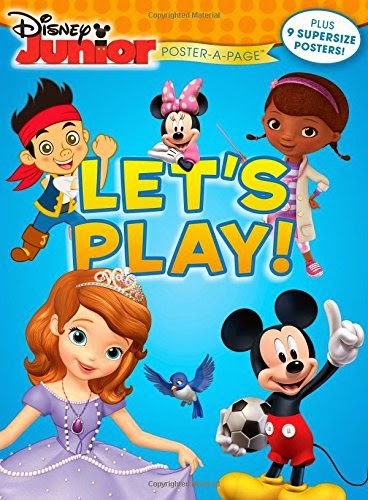 This new book introduces us again to the whole Disney Junior team: six-year-old Doc McStuffins; Mickey Mouse and his lovable clubhouse friends Goofy, Donald, Minnie, Daisy, & Pluto; Jake and his faithful Never Land Pirates crew; and Sofia the First along with her family and friends. You can purchase these two new poster books online at Amazon.com and wherever books are sold.